I decided to go straight for the traditional BBQ as my first meal in Hong Kong, unfortunately I was waiting for 3 more people and we couldn’t order until they were there. We waited for about 30 minutes before they finally arrived and it was safe to say they were no longer my friends. 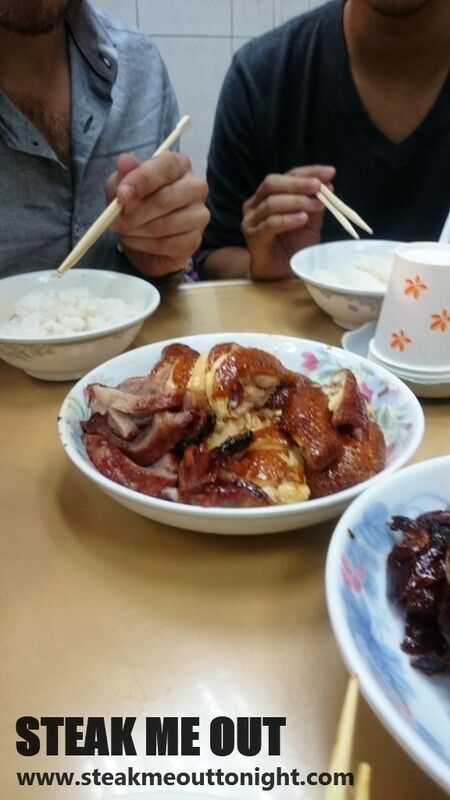 I immediately ordered and chose 3 bowls of meat with rice and greens, we went with a full chicken, a full duck and whatever BBQ and crispy pork they had left. The whole meal and atmosphere was great, the chicken was really flavourful and had a delightful crisp skin and the pork was amazing in terms of flavour and texture. The only thing was the duck, it was not as great as duck I’ve had before (particularly in Melbourne). 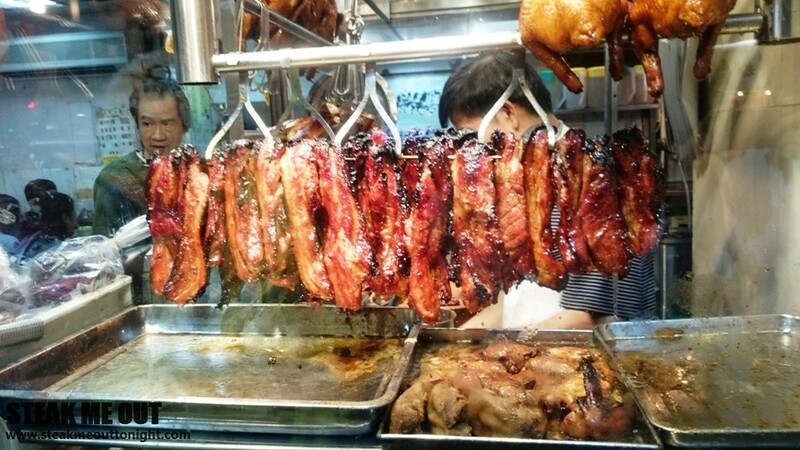 I would definitely go back to Joy Hing for a quick feed of BBQ pork and crispy pork. They were fantastic. 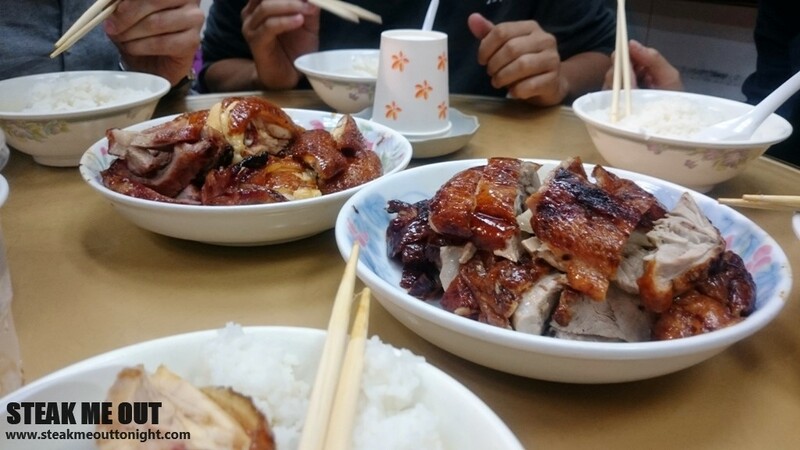 Posted on June 18, 2015 by AdrielPosted in Hong Kong, Local CuisineTagged BBQ, Chicken, Duck, Hong Kong, Local Cuisine, Pork.